Ever since Firefly ended (yep, I’m still mourning), I’ve been wanting another story with a crew on a ship that makes me feel right at home. The very first page gives you that warm, fuzzy feeling and makes you excited for things to come. You are ready for adventure and fun and danger – and the author simply delivers. This may be no Firefly, but it sure is a lot of fun. first sentence: The smuggler held the bullet between thumb and forefinger, studying it in the weak light of the store room. Sky piracy is a bit out of Darian Frey’s league. 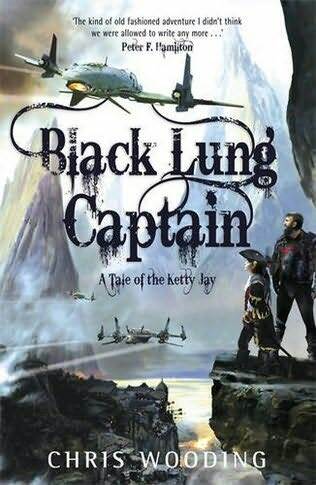 Fate has not been kind to the captain of the airship Ketty Jay—or his motley crew. They are all running from something. Crake is a daemonist in hiding, traveling with an armored golem and burdened by guilt. Jez is the new navigator, desperate to keep her secret from the rest of the crew. Malvery is a disgraced doctor, drinking himself to death. So when an opportunity arises to steal a chest of gems from a vulnerable airship, Frey can’t pass it up. It’s an easy take—and the payoff will finally make him a rich man. But when the attack goes horribly wrong, Frey suddenly finds himself the most wanted man in Vardia, trailed by bounty hunters, the elite Century Knights, and the dread queen of the skies, Trinica Dracken. Frey realizes that they’ve been set up to take a fall but doesn’t know the endgame. And the ultimate answer for captain and crew may lie in the legendary hidden pirate town of Retribution Falls. That’s if they can get there without getting blown out of the sky. The adventure starts right away, on the very first page. I can’t say that there was a single boring moment in this book. I did feel a bit overwhelmed with the characters in the beginning. We are introduced to them all quickly within one chapter. Even with a good memory for names, it’s hard to keep track of who’s who and what distinguishes them. But worry not. 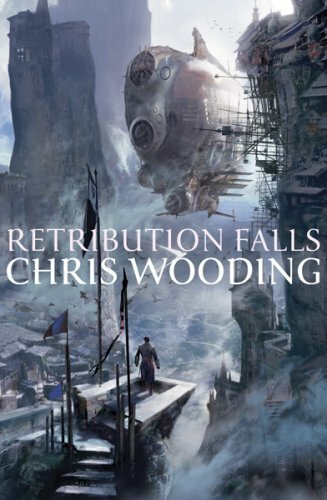 Chris Wooding may throw them all onto us poor readers in the beginning, but he gives each of them depth later on in the story. While I found especially Darian Frey’s character development predictable and a bit cheesy, I can’t say I truly disliked any of the crew. They are a nice bunch and their quippy banter won’t fail to amuse. As far as world building goes, I wasn’t too convinced. I do suspect that we only scratched the surface of a much bigger universe and we’ll probably get to learn more about it in the follow-up novels. 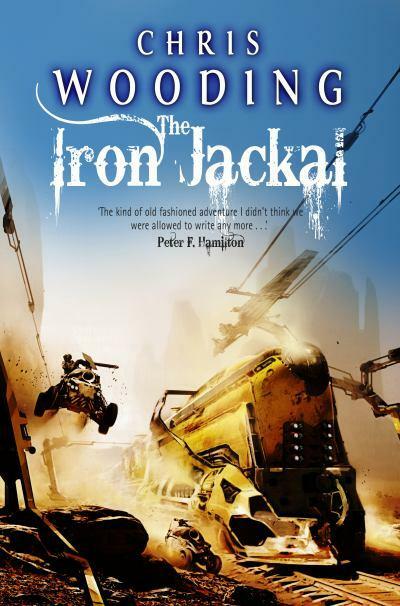 In Retribution Falls, however, the steampunk element was both wonderfully done – daemonists, golems, gadgets made with daemons – and hard to imagine – the speed at which the airships fly, using aerium. But that may just be my own fault for not having read enough steampunk literature. I think there’s a lot of promise in this world, though, and I especially liked the explanation on how to play Rake as a sort of epilogue. You can’t really help but fall in love with the characters. Sure, they could be more three-dimensional but I liked them all the same. This story is just a fast adventure with everything a good pirate story needs. Airships, explosions, guns, monsters, intrigue, evil guys, a secret hide-out, a great crew, and a ship that – despite not being able to talk – is a character all on her own. THE GOOD: Fun, fast-paced adventure story with cool characters and not a boring moment in sight. THE BAD: Characters could be deeper, world-building has potential for more. 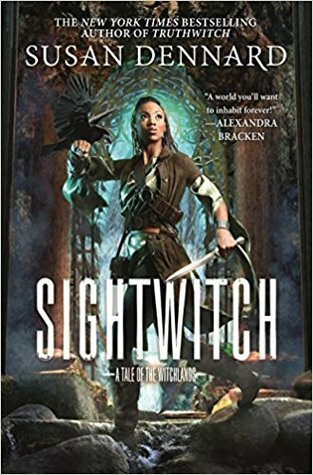 THE VERDICT: A fun romp on the Ketty Jay that shouldn’t be missed by anyone who likes steampunk, Firefly, or adventure (pirate) stories. Hello. I am Dina, and I am a book addict. I'm from Austria and, apart from reading, I enjoy movies, video games, thunderstorms, eternally bickering couples and anything made of chocolate.